Today is National Potato Chip Day . . . Hope everyone is enjoying their day with a big bag of potato chips . . . There really is a day for everything. My favorite is sour cream n' bacon. Well, today, March15th is Dumbstruck Day . . .
Nope . . .just today! That was funny though yoto. So, today, Monday March 16th is . . .Lips Appreciation Day! 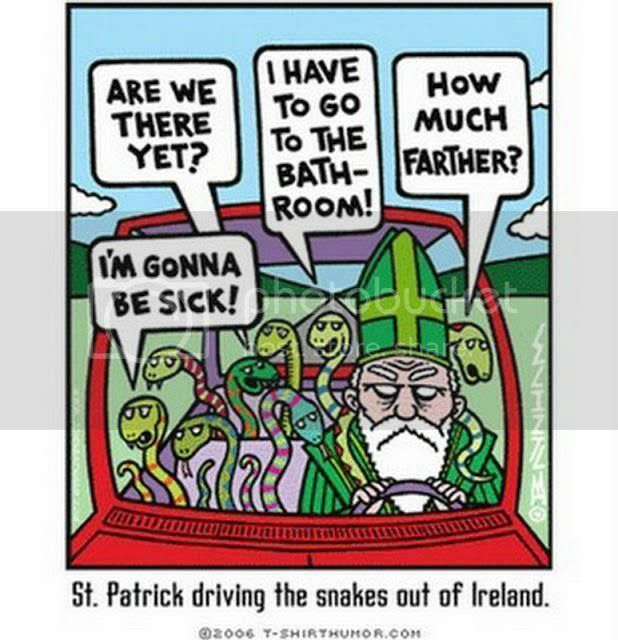 Today is St.Patrick's Day! Hope you all remembered to wear some green today . . .
if u dont wear green then u have to be pinched... or kiss the one about to pinch u.. But it's a rule . . .you can't pinch if they are wearing green . . . I did know today was st patricks day and I did wear green and I didnt get pinched. I would have pinched you both, but surely I would have gotten a dirty look from your sister. I did wear green, but it was completely by accident. I forgot what day it was. St Patrick's Day confession, and the reason I don't really like the holiday. Once I got too drunk and was arrested on that day and told myself that wouldn't happen again, and that was exactly 25 years ago today. It hasn't happened again.